What Happens if You Refuse to Pay Off Your Student Debt? Fifteen former students of the for-profit Corinthian college chain are launching a debt strike to allow other debtors to do just that. Every day, people who struggled to finance their educational advancement slip deeper into a financial mudslide on a mountain of student debt. 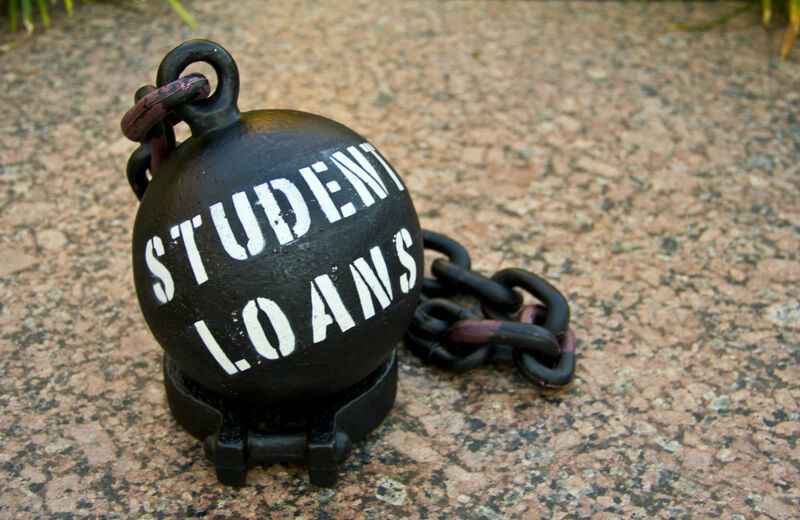 For borrowers who collectively hold this burden of about $1 trillion nationwide, the student loan has become a ball and chain that restrains them from starting their careers, or even paying rent, as their wages are sucked into a financial vortex. But what if you just decided to not write that check this month? A small group of people have chosen to do just that, hoping to start a movement to break out of the debt cycle—or at least to bang against the walls of student-debtor’s prison. We paid dearly for degrees that have led to unemployment or to jobs that don’t pay a living wage. We can’t and won’t pay any longer. Repayment plans presented as a helping hand simply aren’t good enough. The wrong done to us is deeper than that. Ann Bowers of Florida was drawn in by Corinthian’s Trojan Horse marketing, which convinced her that she could readily obtain an online degree to help restart her career in marketing, after years of being out of the workforce due to disability. But in exchange for a bloated federal loan burden of some $40,000, she received an anemic education—with coursework that was more like high school than college and classmates struggling with even the basics. While fifteen debt resisters will not upend the private loan system or the financial markets they fuel, their defiance aims to expose structural problems driving the financialization of higher education. Since their debt crisis is exacerbated by Corinthian’s apparent massive cheating of students, they’re sparking a national conversation on the real value—and true cost—of college. This private debt, unlike the more common federal loans, carries far greater financial risks and burdensome rate structures, similar to credit-card debt. At about $150 billion of total student debt, private debt burdens are particularly pernicious because the loans often go to students who attend for-profit schools. As a response to this pattern, the Jubilee is, like the debt strike, symbolic, but it does help reframe the moral argument around debt and social responsibility. Every month, we are forced into debt for basic necessities. We have no choice but to enter into contracts under unfair terms. We have little power to bargain or negotiate. Creditors are holding us hostage. When we can’t meet the terms of the contract, we are harassed, we have our wages garnished, and some of us are even imprisoned. The goal of the Debt Collective is to fight back and transform the way we finance basic necessities, such as education, health care, and housing. Pushing back against a trillion-dollar boulder, the Corinthian activists are taking on a Sisyphean challenge to the debt system. The company offers a compelling moral parable, linking the evils of the for-profit higher-education industry and the financial villains preying on misguided college dreams. And for the strikers, what could be more American than setting out to do the impossible?